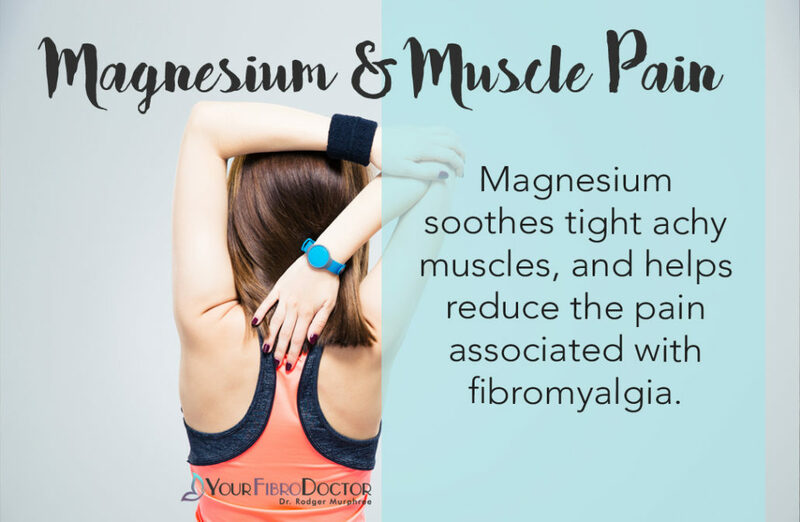 Magnesium is one of the most important minerals in the body-especially for those with fibromyalgia. It is responsible for proper enzyme activity and transmission of muscle and nerve impulses, and it aids in maintaining a proper pH balance. It helps metabolize carbohydrates, proteins, and fats into energy. Magnesium also helps synthesize the genetic material in cells and helps to remove toxic substances, such as aluminum and ammonia, from the body. Magnesium and calcium help keep the heart beating; magnesium relaxes the heart, and calcium activates it. A deficiency of magnesium, then, may increase the risk of heart disease. Magnesium also plays a significant role in regulating the neurotransmitters or brain chemicals. Neurotransmitter deficiencies are common in fibromyalgia! A deficiency can cause muscle pain, joint pain, headache, fatigue, depression, leg cramps, high blood pressure, heart disease and arrhythmia, constipation, irritable bowel syndrome, insomnia, hair loss, confusion, personality disorders, swollen gums, and loss of appetite. High intake of calcium may reduce magnesium absorption. 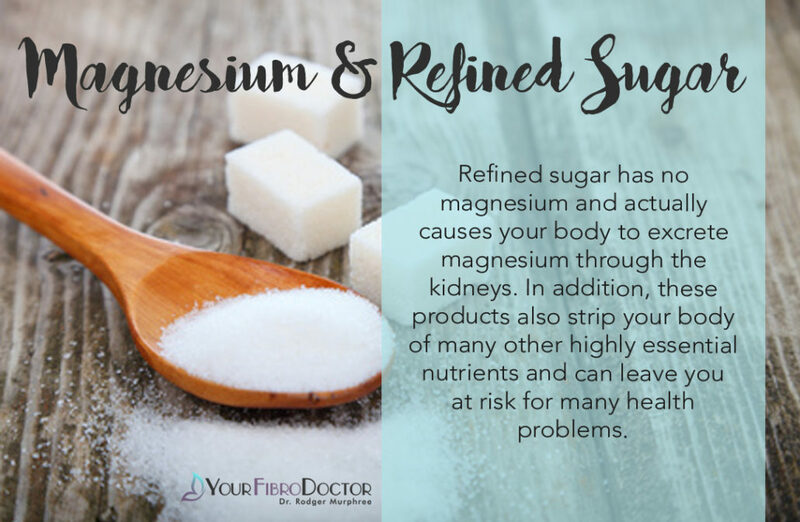 Simple sugars and/or stress, a common thing for those with fibro, can deplete magnesium. It is also a potent antidepressant. It helps with intermittent claudication, a condition caused by a restriction of blood flow to the legs. It’s effective in relieving some of the symptoms associated with PMS, and women suffering from PMS are usually deficient in it. New studies are validating what many nutrition-oriented physicians have known for years: a magnesium deficiency can trigger migraine headaches. has cured, or dramatically helped, many of my young asthmatic patients. Unfortunately, dietary magnesium intake in this country is steadily declining. It has been consistently depleted in our soils and further depleted in plants by the use of potassium- and phosphorus containing fertilizers, which reduce a plant’s ability to uptake magnesium. Food processing also removes magnesium, while high-carbohydrate and high-fat diets increase the body’s need for it. Diuretic medications further deplete total body magnesium. It is estimated that up to 80% of those with fibromyalgia are deficient in magnesium. What are some risk factors for magnesium deficiency? 1)Excessive stress in your life whether from physical, emotional, or psychological stressors. Who with fibromyalgia doesn’t have stress? Stressful conditions cause the body to use more magnesium and a lack of magnesium tends to make stress responses more severe. The hormones associated with stress, adrenaline and cortisol, were also associated with magnesium deficiency. 2) Eating or drinking highly sugary products including those with artificial sugar. 3) Drinking alcoholic beverages. Alcohol also increases kidney excretion of magnesium. Alcohol also tends to lower the efficiency of your digestive tract and lower Vitamin D levels, which can further lower magnesium levels. 4) Drinking caffeinated beverages. Caffeine works similarly to refined sugar in that it causes the kidneys to excrete magnesium. 5) Taking diuretics, heart medications, asthma medication, birth control pills, or estrogen replacement therapy. These medications increase magnesium excretion through the kidneys and can lead to deficiency. 6) Drinking dark colored carbonated beverages. The phosphates contained in dark beverages bind with magnesium in the body to reduce your magnesium levels. 1. Magnesium Amino Acid Chelate is the forms of magnesium I recommend the most. A magnesium amino acid chelate is magnesium connected to an amino acid. This connection, makes the magnesium much more absorbable than other forms of magnesium. This could be a glycinate, citrate or taurate. Derived from the magnesium salt of citric acid, magnesium citrate, is a highly soluble form of magnesium. 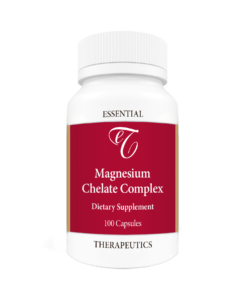 Magnesium citrate and magnesium chelate are two of the most absorbable forms of magnesium and great for tight achy muscles, muscle cramps, and constipation. 2. Magnesium threonate is best for memory and mental clarity. Research shows it has protects the brain from cognitive decline and aging. Magnesium oxide is therapeutically used as laxative. It isn’t absorbed very well It’s poor bioavailability is only 4%. This is particularly important in heart and nerve cells, which are unable to renew or regenerate when damaged, and hence effective delivery of magnesium is important to the recovery of these tissues. 5. Magnesium Chloride has a higher bioavailability than magnesium oxide and magnesium citrate, and a bioavailability equivalent to magnesium lactate. The magnesium concentration in magnesium chloride supplements is low, around 25%, to balance its higher bioavailability. A supersaturated magnesium chloride oil can be applied to the skin for sore muscles and has been recommended by some as a supplement for those who experience an undesired laxative effect from pills. 6. Magnesium Sulfate is a form of magnesium with an elemental concentration of 10% and lower levels of bioavailability. It contains magnesium, sulfur, and oxygen and is often sold as Epsom Salt, which can be added to baths to relieve sore muscles. It has a tendency to cause stomach discomfort and loose bowel movements. 7. Magnesium carbonate, or chalk, is used as a remedy for heartburn and upset stomach. Its bioavailability is about 30% when taken internally. It is also commonly used as chalk and used as a drying agent by pitchers, gymnasts, rock climbers, and weightlifters. Magnesium carbonate has a strong laxative effect when taken in high amounts. 8. Magnesium malate is great for increased energy and muscle soreness. 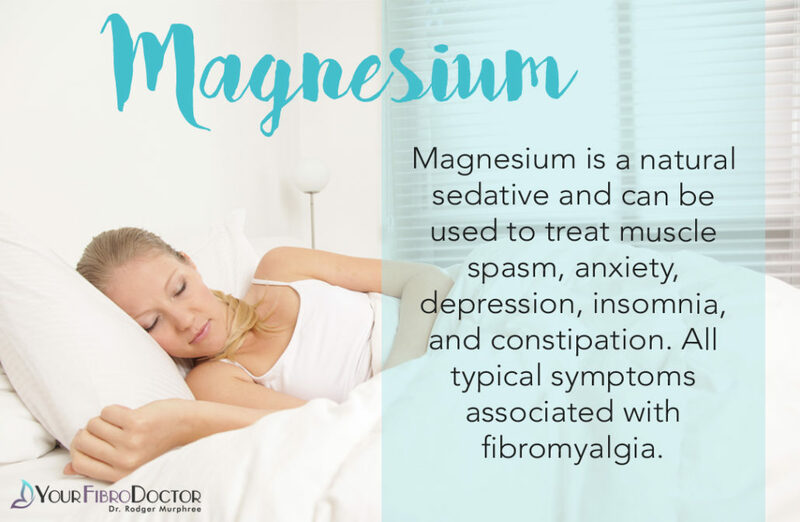 This is why this form of magnesium is also in my CFS/Fibro Formula. Magnesium malate is a good one to take in the morning. It contains malic acid, which helps your cells make and use energy. In the “old days,” when I used to own and oversee my medical practice we would have patients come into the clinic for high dose vitamin and mineral IV therapy. These IVs had large doses of magnesium, as well as other vitamins and minerals and patients usually felt tremendously better after receiving them each week. The IVs weren’t without fault-they were expensive, $75-$90 a treatment, required one and half hours to be administered and their results were short lived. Realizing the shortcomings of these IVs, I set out to create a “pack” of easy to take high dose supplements that could be taken in a pill and capsule form, but also deliver all the wonderful benefits we saw in patients receiving high dose vitamin and mineral IV therapy: increased energy, decreased pain, improved sleep, moods and mental clarity. 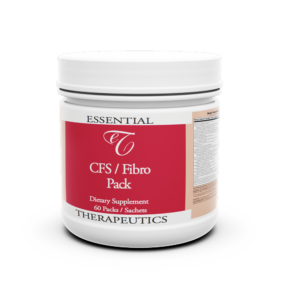 The CFS/Fibro Formula is loaded with the high doses of the essential nutrients including all the vitamins, minerals, essential fatty acids, amino acids, malic acid, and extra magnesium (680mg). The pack has all the essential amino acids, which are what make our brain chemicals. They help restore normal brain function, increase mental clarity, reduce depression, pain, anxiety, IBS, and fatigue. 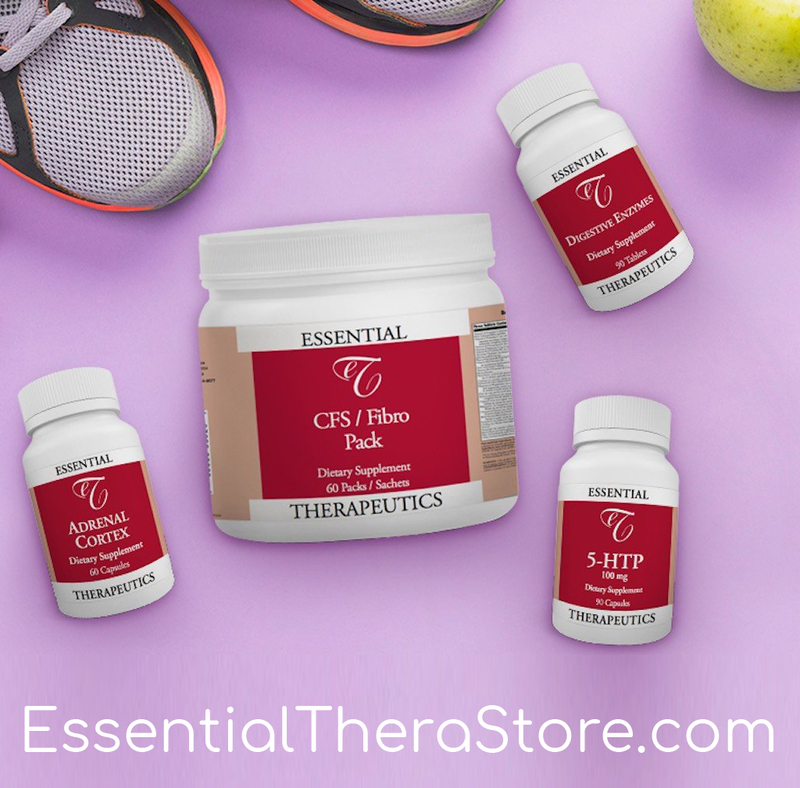 The Essential Fatty Acids in the formula, reduce pain, inflammation, depression, anxiety, and allow brain cells to communicate with one another, increasing mental clarity, and boosting physical and mental energy. The Formula contains all the high dose vitamins and minerals based on The Optimal Daily Allowance (ODA) according to Orthomolecular Medicine. For anyone with fibromyalgia I recommend taking an Optimal Daily HIGH DOSE MULTIVITAMIN WITH minimum of 600mg of magnesium, preferably magnesium citrate or chelate (has best absorption, won’t irritate the stomach). You can also add magnesium in 150mg doses-take until loose bowel movement then reduce dose until have normal bowel movement (remember magnesium is a natural muscle relaxant and will relax the colon as well-great for IBS and constipation as well as stiff achy muscles. 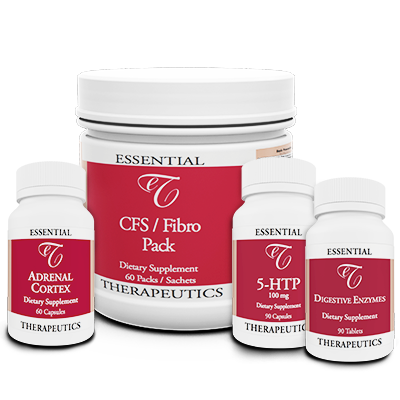 There are other important nutrients in the CFS/Fibro Pack including malic acid, which helps wit cellular energy and may help reduce pain. How much does it cost. I take 3 magnesium, calcium and zinc from a drug store every day. Do you think that I’m getting any benefit from them?